Multiplex: Chapter 15 — and the full Book Three eBook set — are now available! 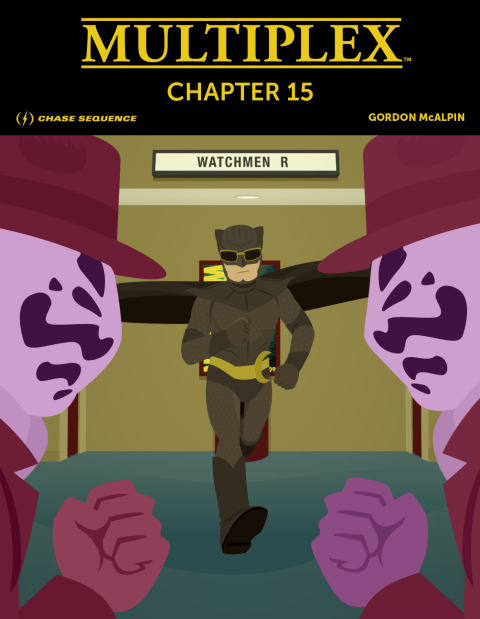 Kickstarter and Patreon supporters have already got their copies, but for the rest of youse: The Multiplex: Chapter 15 PDF eBook is now available! Chapter 15 collects strips #311–338 from the Multiplex archives, plus three bonus comics not found in the archives — including “The Abyss Gazes Also,” an all-new twelve-page mini-epic. Chapter 15 costs $2.99. Since Chapter 15 is done, you can also get all five Chapter eBooks for Book Three — Chapters 11–15 for $7.95. If you get the five eBook set, you’ll also get a PDF of the six-page “The Story So Far” sequence from the beginning of the upcoming print book (about one page of which is new art). And remember — Chapter 11 is free! Oh… Stealth announcement: the Multiplex Store is no more. If you need access to your digital files that you bought through that, just shoot me an e-mail. I will have something different set up by the time Book Three is available. Posted in Etc., Merch | Comments Off on Multiplex: Chapter 15 — and the full Book Three eBook set — are now available! I thought I’d share this one publicly, rather than just to the Kickstarter and Patreon folks. It’ll be used as the “chapter illustration” for the back matter — which means that it will be directly opposite the last page of the comics in Book Three. Anyway. I just have a couple of illustrations (the cover and the cover/chapter illustration for Chapter 15) before production is officially wrapped — which means I’ll be moving on to proofreading, pre-press, and other boring stuff next! 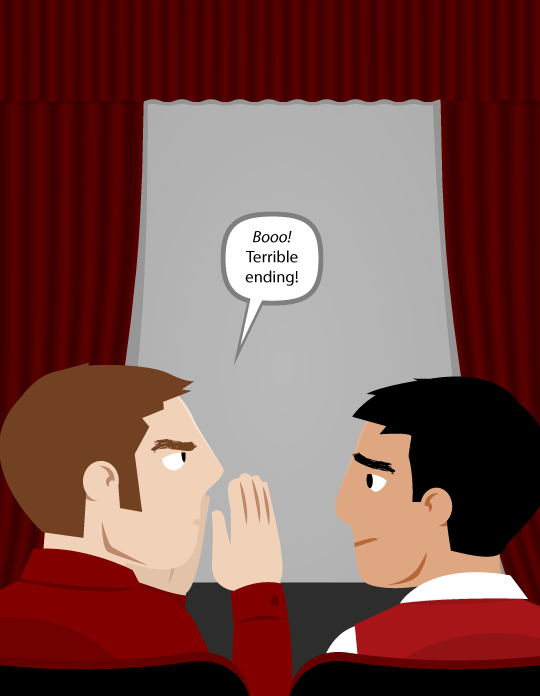 BUT there will be movie review comics and things like that going up at Kickstarter and Patreon during that time.